The seemingly sci-fi world envisioned in the movie Her is very close to becoming our reality. 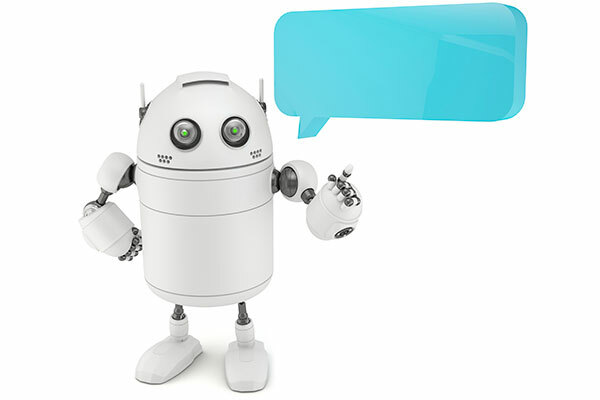 Several new developments merging hardware, artificial intelligence technology, chatbots and persistent audio assistants are now available, with software developer kits to expand the platforms. Amazon was first to market with their Echo device, and since have added the Echo Dot, both using their voice assistant “Alexa” to allow users to play music, buy goods from Amazon, call for a cab, check the weather and other tasks—all just using their voice commands. Google has been working on parts of the market but made a big leap forward in October, adding several devices on the new Google Assistant platform. Google Assistant is an enhanced, audio-driven version of Google Now, their early mobile phone audio and visual card-based assistant. Google Assistant is currently only available on Google’s new line of devices, including their new Pixel phones and Google Home, a speaker device very similar to Echo that uses audio commands to play music, control home appliances, manage tasks and more. Similarly, the five most repeated actions were playing a song (34%), controlling smart lights (30.8%), setting a timer (24.5%) connecting to a paid music service (18.2%) and reading the news (17%). The majority of Echo users also continue using the device after purchase, even after its novelty wears off. The report said 39% of respondents use it more since the purchase, 48.4% say they use it the same, and only 12.6% say they use it less, which is quite good for a totally new technology device. Starting a new vertical category like that can take time to grow adoption, but it appears voice assistant tools are showing high utility value for users, and that will likely continue as we move out of the innovators and early adopters stage into the devices becoming more mainstream with Google’s new platform. You can read more about the Experian Amazon Echo research and share this blog post with your co-workers to start envisioning if there are potential future opportunities for your government digital services and content to be integrated into these interface-less digital experiences.